Oh, man, could you not let in the demon? You’re not supposed to do that. It’s right there at Catechism 2116. The Exorcist wasn’t exactly the breakout hit of last season, but it was the little show that could and found a surprising niche audience for a Friday night show. Maybe it hit the right amount of Catholic interest (there aren’t a lot of Catholic shows out there outside the EWTN channel) and fans of the original Exorcist in general, and the generous helping of Geena Davis probably helped. 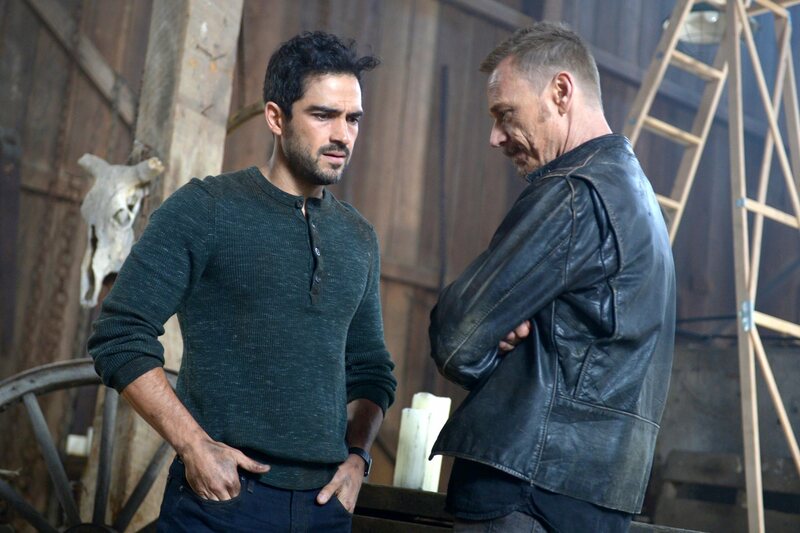 So The Exorcist‘s premiere season did pretty well for itself as a show that teetered on the cancellation line, but at least largely had a decent wrapup while leaving the door open for the further adventures of Tomas (Aflonso Herrerra) and Marcus (Ben Daniels). And…those two are the only carryovers from the prior season. Which is fine–it opens the door (yes, I’m going to keep talking about doors) for this show to experiment and reinvent itself. Practically speaking, The Exorcist couldn’t exactly pick up from where it left off. Geena Davis largely concluded Regan McNeil’s story and left the character in a good place, and besides, Davis is a big enough character that bringing her back for another season could be pricey. On top of that, Tomas and Marcus were left in a position where they kind of had to get the heck out of Chicago, even if there was a lingering plot thread for them to deal with later if they need to. Thematically, this season seems to be continuing the Star Wars vibe that I sensed last season…which is not to say that this is a direct, Catholic riff on Star Wars, so much as there’s a similar train of thought. Tomas is the padawan, and Marcus is the disgraced-but-still-very-smart Jedi master. Tomas is TESB-era Luke; Marcus is Yoda. This is all very simple, except that it’s also going to lead to a lot of stupidity because Tomas is having his “I can run off to Bespin without completing my training” moment. 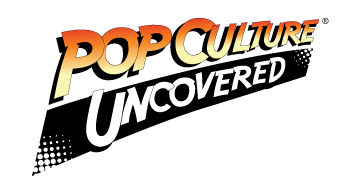 Our episode opens with our priests literally on the run, with Marcus performing an exorcism in the back of a pickup truck while Tomas acts as getaway driver, trying to get a poor possessed woman away from a husband who doesn’t get what’s going on. The exorcism process gives us some insight into demonology–yeah, you’d think these two figured out all the tricks last season, but no. Demons, you see, like to screw with you and then offer you exactly what you want. “They find the thing you want the most and then they dangle it under your nose.” In the case of Marcus, our resident demon taunts him with a thread that was hinted last season: that Marcus is gay and ran to the priesthood as a means of masking his celibacy. This is manifestly bothering him–he knows he’s over this, and that he’s a priest before he’s a man with needs–but there’s a clear sting here anyway and it’ll be curious how the show plays with this later. Incidentally, I wonder if any of this is inspired by the Catholic controversy over Father James Martin, who’s publicly advocating for a greater welcoming of gays in the Church. His fans believe that he’s not calling for a change in doctrine, but just saying “Hey, the Church needs to be welcoming.” His opponents think he’s throwing doctrine to the wind for popularity. Regardless, the public fight over Father Martin is pretty ugly, and it’s curious if the show is borrowing any cues from this in exploring Marcus’ sexuality this season–even though the answer is, apparently: look, he’s a priest; his sexuality is a non-issue no matter how much you want it to be, because he’s got sinners to tend to. But back to Tomas–his problem is that he’s letting the demons into his head again, a clear problem for him last season. Tonight, he’s got the demons in his head again during his latest Exorcism, which Marcus trusts him–with caution–to perform on his own. Not a good idea. Tomas has the idea that by opening up to the demons, he can confront them on their own turf. So Tomas decides to deviate from the proper Rite of Exorcism, put his Bible down, and go confront them on his own. Long term, we don’t know how this is going to turn out, but…yeah, Bespin didn’t work out too well for Luke. Like I said, the Catholic Church cautions against intentionally screwing around with demons. This is not going to work out well for Tomas. Speaking of “opening the door,” the parallel plot running through this episode concerns John Cho–wow, The Exorcist got John Cho–running a halfway house for foster kids, giving them love and a home where no one else will. These include Brianne Hildebrande–yeah, The Exorcist got freakin’ Negasonic Teenage Warhead–the snappy, sarcastic one of the bunch. These kids are lonely and hurt by parents who may not be coming back for them, and Cho’s dad figure is trying to ease their pain and his own, as we get a few cues that he’s mourning a dead wife himself. Anyway, these kids have heard rumors of an old haunted house out in the woods behind their foster home, and Hildebrand’s character decides to dare one of the other kids into taking on a spiritual challenge to stand over an old tomb for ten seconds. Not a good idea, kids–opening the door to demons is never a good idea. Appropriately, in the other parallel plot, Tomas challenges the demon with the old scriptural words: Behold, I stand at the door and knock–an invitation to come in. In other words, it looks like Season 2 of The Exorcist is going to be looking into how people play with the supernatural, and why, and how it leaves them open to exploitation by ancient entities who are really not there to help anybody. The channel they use is pain, and it’s only Marcus who understands the ancient power of Christ: “we glory in our sufferings.” Tomas and these kids all want to take the easy way–the quick and easy path that Yoda Marcus warns about. Season 2 looks like it’s going to be a fun ride, even if it’s going to suuuuuuck for our characters. Rating: Four Hail Marys out of Five.